Shimano Nexus Hub 1cm Cap Nut. Bicycle Hub Rear Axle / Spindle. Axle Length: 165mm. Can also be used for front. 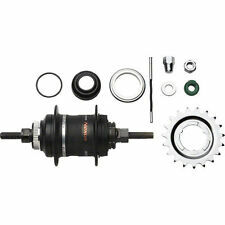 One Rear Hub Axle 3/8X175mm Black. 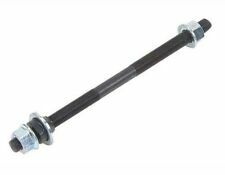 Rear Hub Axle 3/8X175mm Black. Bicycle Bike Black Rear Hub AxIe 3/8" 185mm BMX Fixie LOWRlDER Cruiser 177250. # of balls: 7. Fits: 3/8" Axle. Ball Size: 1/4". 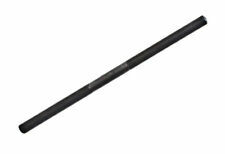 Axle Length: 175mm. Cr-Mo Axle. Bearing ID: 10mm. Bearing OD:26mm. Sealed Bearings. Black painted 36 hole Front Formula Bicycle Hub. Axle spins freely. Next to it is ourkoslowcycle link to get there. bike Rear Hub Axle 3/8 x 185mm Black.bicycle Rear Hub Axle. 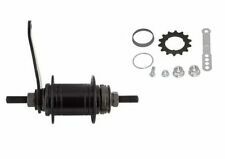 Rear Hub Axle 3/8x185mm Black. This is a 3/8ths x 26tpi solid front axle. It is 140mm long. SUZUE HUB SET. "SUZUE" STAMPED INTO HUBE. LOOSE BALL BEARING. 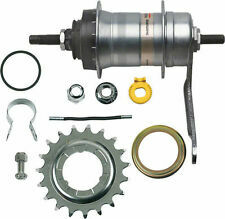 FOR SINGLE FREEWHEEL. Virtue Bicycle Front Track Hub Sealed Bearing Silver High Flange Fixed Gear. Made for standard right hand freewheel. Can be laced on most Bmx, mtb, or other projects as you can move the axle around to fit your needs. sold in a set of 2 pieces (front, rear). Weight: 10.25 oz. Flange thickness:3mm. 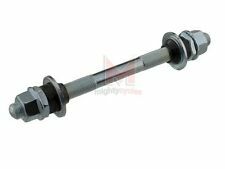 Front 10 Speed Bicycle Hub Axle / Spindle. 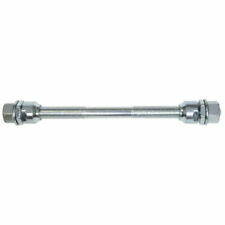 Axle Length: 140mm. With dust cap and cone. Low Flange. Italian Skewers-cycle pro- Made in Italy. Virtue Bicycle Front Track Hub 32-Hole High Flange Black 3/8" Bolt-On Axle. Size: 1/4"x7". new 10 piece Ball Bearings. Mostly used on rear wheels. KT Coaster Brake Hub Hi Stop 36 Hole Coaster Brake Rear Hub NEW! Coaster brake strap. This is the clone of the Shimano CB110. Includes 1 CB hub, 1 hardware bag with dust cover. 135mm Long - Believed to Fit FRONT Hubs. Sealed Bearing Hub Axle. 3/8 THICK AND 175MM LONG. REAR AXLE FOR MOST OFSINGLE SPEED REAR SPROCKET WHEEL. (YOU MAY ALSO USE FOR FRONT). Trending at $10.87eBay determines this price through a machine learned model of the product's sale prices within the last 90 days. Odyssey's beloved Vandero hub is back and better than ever. The new Vandero PRO hub is a high quality, sealed hub with in-bound axle bolts that is guard compatible (both included). 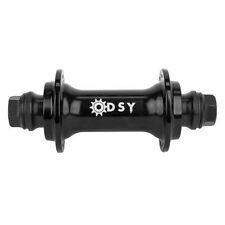 Odyssey Vandero Pro Front Hub in Black. Shimano Nexus SG-3C41 3-Speed Coaster Brake Internally Geared Hubs. Hub/Brake Compatibility Coaster Brake. Must order Shifter Bell Crank (LD6089) to make a fully functioning unit. 3-Speed Nexus Shifter not included. Made of Iron. Fits single speed and derailleur. Color: Black. Not receive, Product with a problem. Rear sealed GT axle. Do your research. 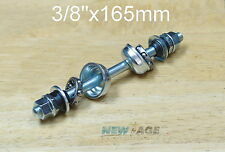 This sale is for (1) rear GT sealed Bmx axle NOS. 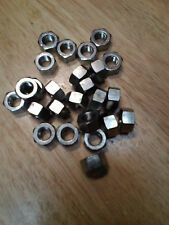 NEW - Never used Aluminum Hub Axle Bearing Locking Collar to fit BMX, Cruiser or any other single speed hub. This is the thread on collar that sits on the inside of your dropouts, and rests against your hub bearing. BICYCLE FRONT 5/16" axle cone with 3/8" axle 140mm long W/BEARING (20 loose ball bearings). Compatible only with Pro 3 and Pro 2 Evo hubs, not compatible with Pro 4 Hubs. Material Steel. Cassette Body Type Shimano Dynasys 11 Speed Mountain. Cassette Body Type Shimano/SRAM 8, 9, 10 Speed. We owe it all to listening to you. Fits pro hub & pro MTB hub. MODEL: NEXUS 3C41. Drilling: 36H. Shifter included. 120mm spacing. Trim kit included. FOR INTERNATIONAL SALES. 1990's BMX GT Mohawk Front Bicycle Hub Silver. Condition is New. Shipped with USPS Priority Mail Medium Flat Rate Box. Virtue Bicycle Track Fixed Gear Rear Hub 32H Fixed/Free 3/8" Bolt On Silver. Drilling: 36H. Axle: B/O 3/8. Loose ball. FOR INTERNATIONAL SALES.